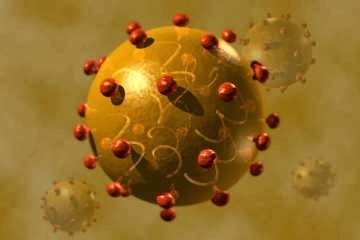 VA study: HCV can cause non-Hodgkin lymphoma. Are veterans the last to know? We know that HCV can lead to liver cancer, but blood cancers too? Yes. HCV isn’t just swishing around in a body’s blood stream happily replicating in liver cells. HCV makes changes to other bodily systems and structures in some “small but significant” number of unlucky victims in the form of non-Hodgkin lymphomas (NHL). The VA has been quietly digesting this information for seven years and at a time when they believed that only 5% of veterans were stricken with HCV: Risk of non-Hodgkin lymphoma and lymphoproliferative precursor diseases in US veterans with hepatitis C virus. (JAMA :2007 May 9; 297(18):2010-7) Full report in pdf here. PubMed Link to Abstract here; A summary here. CONCLUSIONS: Hepatitis C virus infection confers a 20% to 30% increased risk of non-Hodgkin lymphoma overall, and a 3-fold higher risk of Waldenström macroglobulinemia, a low-grade lymphoma. Risks were also increased for cryoglobulinemia. These results support an etiological role for HCV in causing lymphoproliferation and causing non-Hodgkin lymphoma. Chart from Cancer.gov (Click image) has been moved to the wayback machine: (LINK) HCV is carcinogenic for HCC and non-Hodgkin lymphoma. The risk factor for getting NHL are increased for my husband because he not only was exposed to AO, but he lived at Camp Lejeune and was infected with HCV in service (since he had/has no other risk factors). The University of Utah has a healthcare online library that spells out some of the key risk factors such as being 60 years old, male, and having hepititis C as well as survival rates etc..Many medical professional websites (ex. Mayo) with NHL information are silent on HCV as a transformative agent. Note: This study did not find an association between HCV and thyroid cancers but it is not current. Also, the prevalence of HCV is a shocking 18.4% for veterans born in 1954 so this issue needs to be revisited. 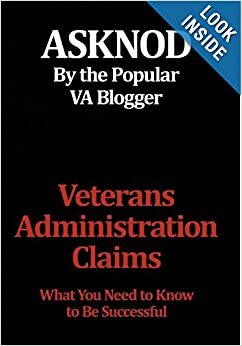 This entry was posted in Guest authors, HCV Health, HCV Risks (documented), Medical News and tagged ASKNOD BOOK, asknod.org, asknod@wordpress.com, Gulf War Vets Help, HCV, HCV Decisions, HCV Health Tips, HCV Veterans, HCVETS, Help with vA Claims, Help with vA HCV Claims., Helping Veterans, Korean War Vets Help, Service Connection, VA claims, VA HCV Claims Help, Veterans Benefits, Veterans claims help, Vietnam Veterans Claims Help.. Bookmark the permalink.